Thousands of residents in the national capital region are flocking to flood zones to offer a lending hand from filling sandbags to cooking meals. 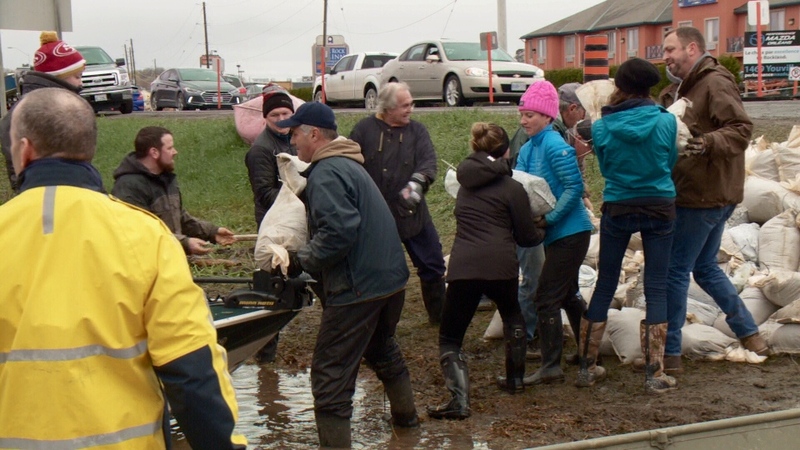 In Gatineau, thousands of volunteers have shown up over the last few days at the Campeau Arena to flll sandbags. 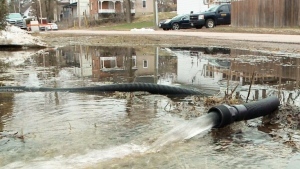 The City of Gatineau says 52 thousand sandbags have been filled in the last week. The line-ups to volunteer stretch outside the arena. There were more than 800 volunteers in the arena by Monday afternoon. From Cumberland to Fort Coulonge, people are showing up with shovels, sump pumps, and even hip waders to help flood victims. For more information about sandbags, or helping to volunteer. 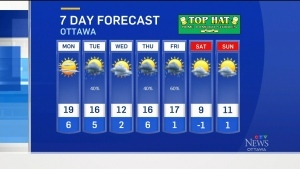 Check this city of Ottawa link. 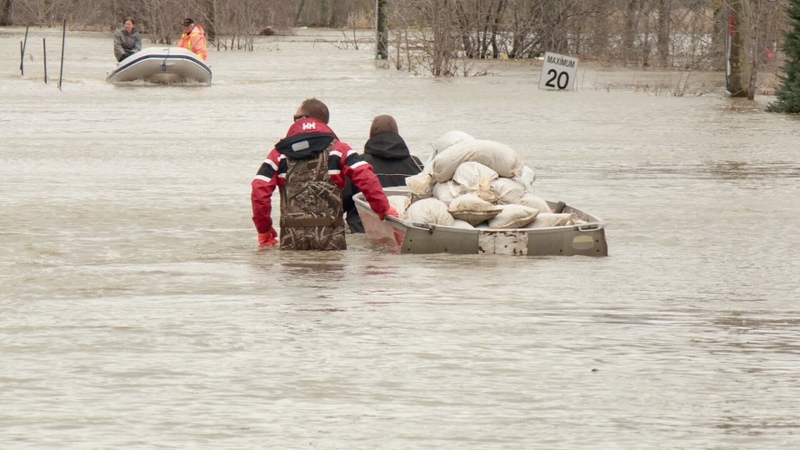 Residents are seen in waist high water transporting sandbags in a boat down a flooded street. Members of the community come together to help residents affected by the flooding.